On Friday, March 20, I began a three-part series at Sharper Iron defending the 24-hour day interpretation of the creation account. 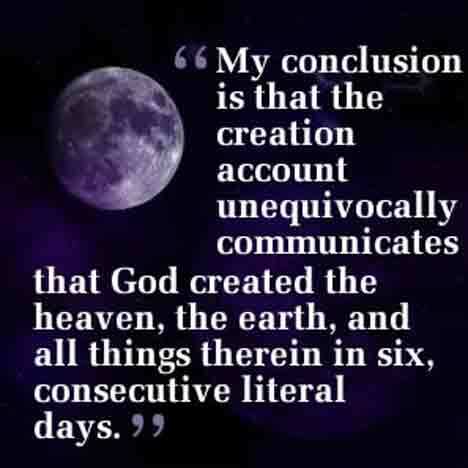 As I noted in my first part, because the tradition of Christian orthodoxy has a legacy of interpreting Genesis as a historic narrative, the prevailing interpretation of Genesis 1:1–2:3 has been that it is a record of God’s creative activity in six, consecutive, literal days followed by a literal seventh day of rest. The point of my first post was to provide a fourfold biblical justification for the 24-hour day interpretation of the creation account. With my second post that is posted today, I note four of the most prominent alternative views that have arisen largely as a result of the advent of modern geology and its claims about the (old) age of the earth. I was glad to see Detroit Baptist Theological Seminary‘s release of Dr. Rolland McCune’s A Systematic Theology of Biblical Christianity. This is the first of three volumes that should be released by 2010. A reason for my excitement over the release of Dr. McCune’s theology is that I have watched his theology notes grow over the 26 years I have known him. In the spring of 1983, he had a significant role in bringing me to DBTS. From my early days at the seminary, I have read his growing set of notes and have profited greatly from them. Besides reflecting a commitment to historic fundamentalism, McCune’s theology is written from the perspective of a traditional dispensationalist and Baptist. His commitment to a presuppositional and Calvinistic perspective is refreshing. It is great to see a dedicated seminary professor’s work culminate in this publication. 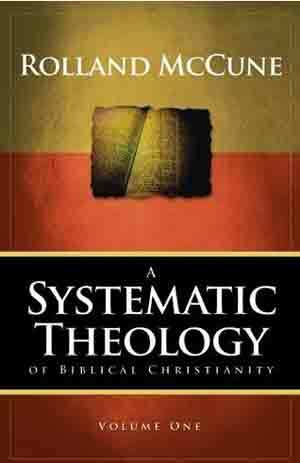 You can purchase his theology by going to the DBTS store. While you are at the DBTS store, you can check out some of the seminary’s other publication by clicking the links under the Category List. Over the next few weeks, I am posting a three-part series at Sharper Iron defending a literal interpretation of Genesis 1:1-2:3. The thesis of this three part series is that, if we consistently affirm the perspicuity of Scripture, the 24-hour view provides the most internally consistent synthesis of Scripture’s comprehensive message about the nature of the creation account and that modern alternative reinterpretations are inconsistent with a biblical theology of creation. 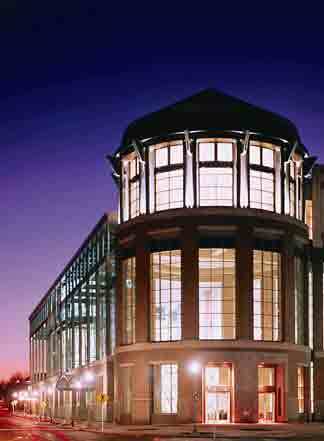 On November 19-21, 2008, I attended the 60th annual meeting of the Evangelical Theological Society in Providence, Rhode Island. In a couple of ways, this was an eventful academic meeting for me. For starters, this year’s annual conference was the first step toward hopefully establishing a Creation Study Group. However, at ETS this type of group does not just happen. There is a required process that a fledging group, like a group of creationists, must follow before it becomes an officially recognized group by ETS. To form a group that is officially recognized by ETS, a group of biblical scholars with necessary credentials and an interest in a given area of biblical studies makes application to ETS’s Executive Committee. After receiving the formal request, the Committee determines if the group meets ETS’s prerequisites to become an ETS approved study group. If the group does not meet the preconditions, the Executive Committee outlines what the group must do to meet the requirements. As ETS is currently set up, the Executive Committee proposed that we initially form a “Creation Consultation” group that would meet for three years beginning in November of 2008. During this consultation period, a five-member steering committee, comprised of two advocates of a young-earth creation model, two supporters of an old-earth creation framework and one member who is undecided, recruit people to present papers in a continuous time-block in one room with three to four sessions. At the end of three years, after the November 2010 annual meeting, the Creation Consultation Group will hopefully be upgraded to a Creation Study Group. The seed form of the 2008 Creation Consultation group goes back to 1999 when a group of recent creationists, the ETS Creation Fellowship (ETSCF), started unofficially meeting at the annual ETS meetings. I first met with the group back in November of 2003 in Atlanta. The ETSCF had a number of worthy goals. One of the goals was to dedicate a book to Dr. John C. Whitcomb that provided an academic defense of key biblical subjects related to the age of the earth and it was a delight to have this book, Coming to Grip with Genesis: Biblical Authority and the Age of the Earth, available at the 2008 annual meeting (for additional information, click here). The second objective was to form an ETS approved creation study group. This year’s meeting of the Creation Consultation group was the first step toward completing this objective. With the 2008 meeting our discussion was about the Framework Interpretation of Genesis 1. Next year’s discussion will focus on Noah’s Flood. I suspect that a discussion of Noah’s Flood will draw a crowd, just as last year’s discussion of the Framework View did. Besides being a part of the launch of the Creation Consultation group, a second reason why the 2008 annual ETS meeting was significant for me was because the theme of the first meeting was on the Framework View of Genesis 1 and I read a paper evaluating the Framework. Here is how our session broke down. Our meeting was on Wednesday morning, November 19, from 8:30 to 11:40 AM. After the three papers were presented a forty minute panel discussion concluded the morning. Dr. Richard Averbeck from Trinity Evangelical Divinity School moderated all the sessions. As it turns out, Dr. Averbeck had been the moderator of my dissertation committee back in 1985 when I graduated from Grace Theological Seminary. He did a great job as an objective and serious-minded moderator, just like was true of him when I was at Grace. This morning session was a little déjà vu for me. Dr. Terry Mortenson, from Answers in Genesis, presented the first paper on “The Age of the Earth: Why Does It Matter?” Dr. Miles Van Pelt, from Reformed Theological Seminary, gave the second paper on “Genesis 1 and 2: An Exegetical Defense of the Framework View”; and I presented the third paper on “A Critique of the Framework Interpretation of the Creation Account.” Each paper was thirty minutes in length followed by ten minutes of discussion. A forty minute panel discussion brought our meeting to a conclusion. Besides myself, the other members of the panel were Drs. Van Pelt, Dave Fouts and C. John Collins, from Covenant Theological Seminary (for more information, check out p. 9 of ETS’s 2008 schedule). Over all, I felt like the first meeting of the Creation Consultation group went well. We had good attendance for all four sessions. I thought all the papers were well-written and the discussions after each session had moments of serious probing but were conducted in a respectful manner. Hopefully, everyone involved in our Creation Consultation meeting profited from our morning together (since I made some clarifications to my chapter in Coming to Grips with Genesis, click here to read the paper).